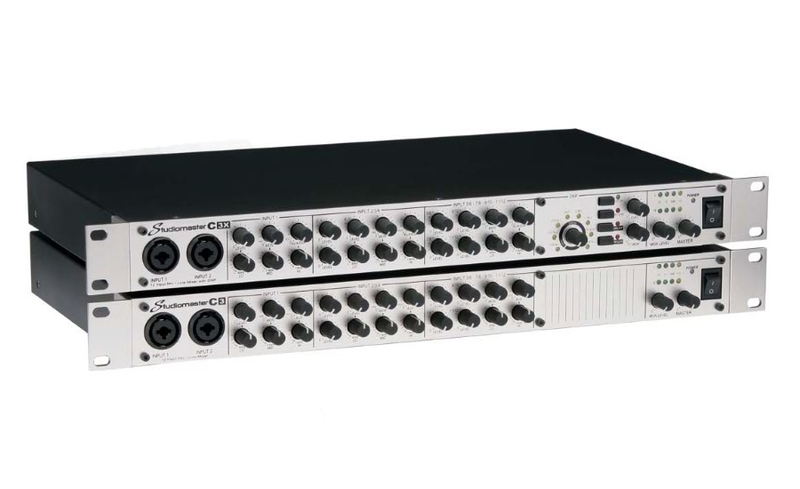 The C3 range of mixers comprises two models, both offering you a total of 12 inputs in a compact 1U 19″ rack mountable package. 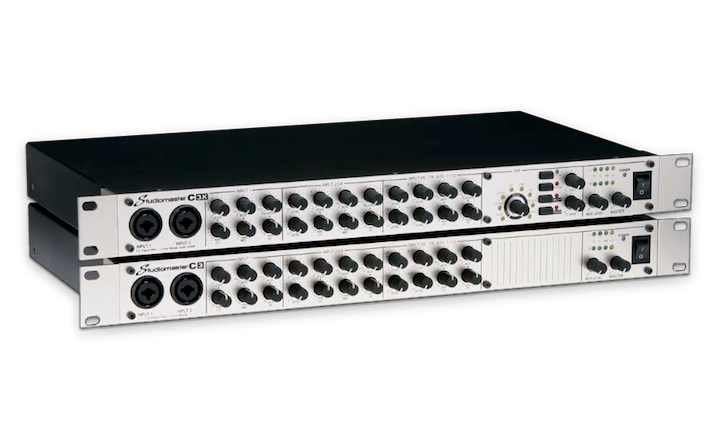 The C3X model also includes the Studiomaster custom DSP effects processor. A smaller unit that still has all the professional features you need for quality sound. 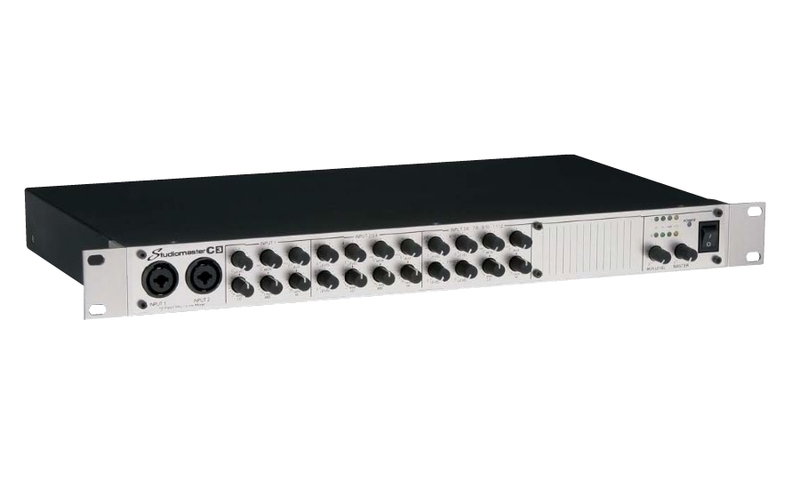 There are four balanced combination XLR and Jack inputs allowing the connection of microphones and line level equipment, for added flexibility 2 of the mic inputs are on the front panel and two on the rear. All mic pre-amps feature our studio grade design, making them ideal for all microphones even condenser mics as phantom power is available. All mic channels feature Studiomaster 3 band EQ design, providing you with maximum control across the crucial vocal range. 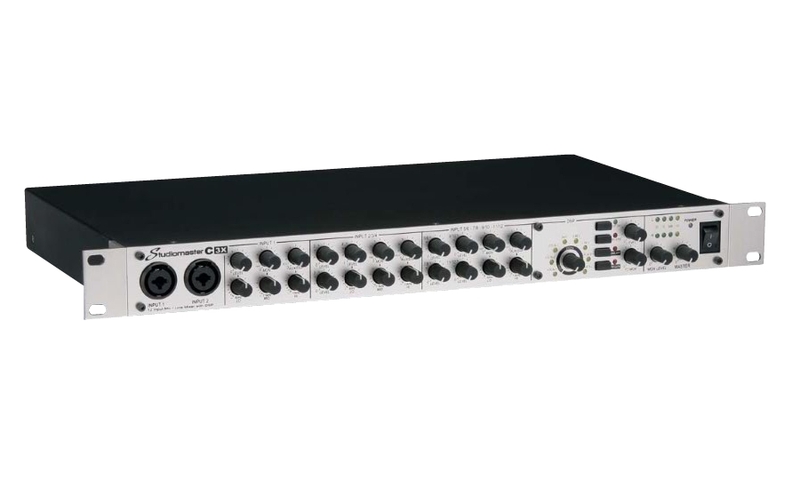 There are four stereo inputs offering a selection of Jack and RCA/phono inputs making them perfect for most playback formats (CD, MD etc) and electronic instruments (keyboards, drum machines etc). has an individual level control and the shared two band EQ gives extra dimension. The C3X gives you our latest generation of DSP effects, crystal clear, quality delays, reverbs and more. Three vocal settings are available along with room and plate reverbs. The delay mode is fully variable giving you an echo from 10ms up to 720ms, along with regen range of 0 to 90%, so you can control the fade time time. The DSP can be switched on and off with the front panel button or with an optional footswitch. The stereo output features LED metering on the front panel, so you can see exactly what is going on. master level control and balanced XLR and RCA/phono connectors.